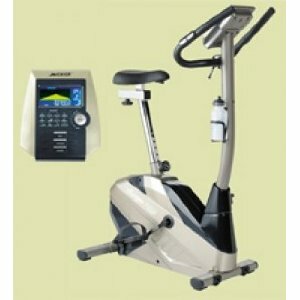 Cosco CEB-JK-7007 A Exercise Bike is a residential exercise bike, having a 250mm flywheel and upright heavy gauge. This exercise bike has superb features like 16 range easy tension adjustment, 3 pc crank with bearing, 13 pr programs with the functions of time, rpm, speed, distance and big dual color LCD. 1 manual & 12 preset programs with the functions of time, rpm, speed, distance, calories, pulse, recovery and heart rate control. Motor drive 16 ranges easy to read tension adjustment. Transport wheel for easy movement. Assembly Size : 1050 x 535 x 1340 mm. *Note: Most of the sites, stores or shopping portals listed above sell Cosco CEB-JK-7007 A Exercise Bike with discounts and other exciting offers. There is a possibility that the some of above websites are not selling Cosco CEB-JK-7007 A Exercise Bike now. Toughtrain.com is not liable for such cases or instances. Also we do not recommend any seller for Cosco CEB-JK-7007 A Exercise Bike and a buyer should buy from where he/she gets best deal with quality of products, service and on time delivery (shipment).